The history and the lore. I know about the OHMSS comparison thread, this is to discuss and share all things Dracula. Yes, that as well. Very good. Dracula is a character as close to my heart as Bond. Plenty of actors, history, elbow room for interpretation, style, look, and content. As a kid around the first grade I was very much getting into classic monsters, specifically Dracula. I was vaguely aware of the character, through HBO airings of LOVE AT FIRST BITE. I can recall a trip to my grandpa's where one Saturday morning, the Lugosi 1931 happened to be playing on the tube. The instant I saw him come down those stairs and announce "I AM................DRACULA", I was hooked. I can remember seeing THE HALLOWEEN THAT ALMOST WASN'T when it initially aired, and later NBC's premiere of the Langella DRACULA. By autumn and Halloween season of that year I was scouring TV Guide for anything Dracula related. I caught the Palance version, the Disney MYSTERY IN DRACULA'S CASTLE, and David Niven's OLD DRACULA. I somehow didn't really count the Niven film as a true Dracula movie, same with the Disney film. The following summer my folks let me stay up late for a television airing of DRACULA PRINCE OF DARKNESS, my introduction to Christopher Lee's Count. I next saw DRACULA HAS RISEN FROM THE GRAVE, and SCARS OF DRACULA. Lee was easily my favorite, with Bela a very close second. That ranking remains the same to this day. , and ABBOTT AND COSTELLO MEET FRANKENSTEIN. I'd read comic book variations of the character, and of course, read the novel. I love a wide variety of Dracula interpretations: from Bela, to Udo Kier. George Hamilton and Duncan Regehr. Yet I am as picky about certain elements of Dracula films as I am about the Bond gun-barrel logo. A friend of mine once told me his favorite Dracula movie was FROM DUSK TILL DAWN.. That's like saying my favorite Bond movie is PATRIOT GAMES. The Palance movie was my first. Saw it in the late 70s. It was really chilling. He was the first Dracula I saw that sported fangs. An amazingly scary Count. The best Dracula movie is still Nosferatu, the first Dracula-ripoff. Max Schreck captures the repulsiveness of Stoker's Count. I've had many public domain copies of NOSFERATU, but should really get a good version. One with the accurate Count Orlock in the title cards. All versions I've seen refer to him as Dracula. Who else feels that Christopher Lee was the best Dracula? Lee is my favorite with Bela second. Lee was a great Dracula, even more so in Franco's film than in the Hammer films. 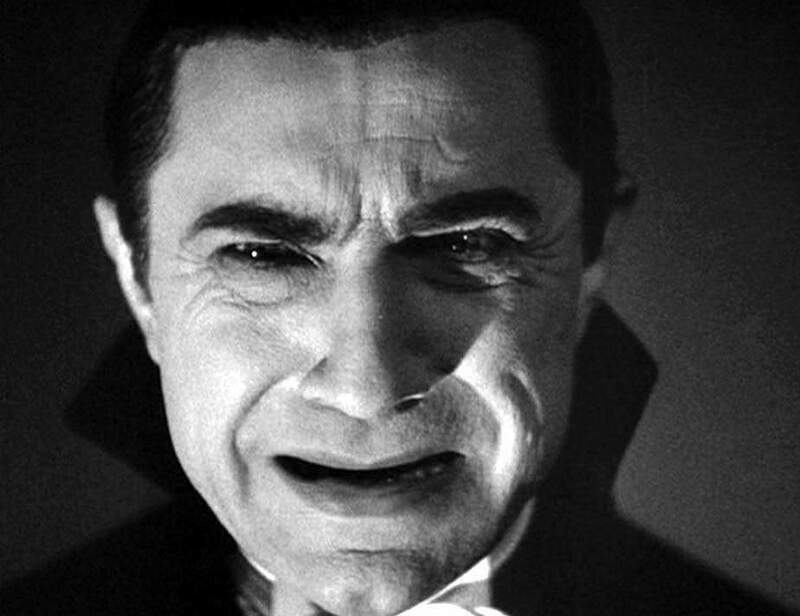 Lugosi will probably always be my favourite Dracula, but he only played the part once in a film (not counting theatre), unless one considers Abbot & Costello. That said, I demand more praise for Gary Oldman too. It was a fascinating approach, far more in keeping with the source material. Langella and Jordan played Dracula rather well too. Nosferatu was great, both the silent movie as well as the Klaus Kinski version. Not too sure about some of the more recent "let's tell the REAL story" Dracula adaptations, though. Gary Oldman was great. At the time he wasn't a huge name, though he had just been in JFK, and had several films under his belt. I believe some of the other choices to play Dracula for that film were Andy Garcia, Daniel Day Lewis, and Jeremy Irons (I could be mistaken on that one). I was glad it turned out to be Oldman. The night my friends and I caught the midnight showing of Coppola's BRAM STOKER'S DRACULA remains one of the best evenings I've ever had in the cinema. I still have yet to watch the Luke Evans Dracula film in it's entirety. Somehow the idea of a Vlad the Impaler CGI action origin story turned me off. I've had many public domain copies of NOSFERATU, but should really get a good version. One with the accurate Count Orlock in the title cards. If you're in the U.S., pick up the Blu-Ray from Kino, which has two versions of the film and the original titles with English subtitles. If you're in the UK, the Blu-Rays from either BFI or Masters of Cinema are recommended. In any case, Blu-Ray is the way to go. Since their storytelling is entirely visual, silent films lose much of their power when presented with poor image quality. On Blu-Ray they really come alive. The Evans film is dreadful. The Oldman film one of my all-time favourites. His version is the best, along with Palance and Lugosi. Oldman gave a commendable performance, but the movie surrounding him stinks. Oldman -- a terrific actor -- is too short to have played Dracula. Count Dracula should be one of the tallest -- if not the tallest -- character in a Dracula film. You know who would've made an outstanding Drac? Timothy Dalton. Agreed. He would have been fantastic. Eureka/The Masters of Cinema Series have a fantastic version of Nosferatu. I had their DVD version but a few years ago upgraded to the blu-ray version. A great package with a 56-page booklet full of writings and photos. Well worth getting hold of. Really? A visually stunning piece of cinema that only (as far as I can remember) fails by miscasting Keanu Reeves. And is the closest to the source material I've seen. I second @Lancaster007's words completely. I also love the score, along with everything else. Keanu, ... well, yeah. I'll give you that. But what exactly stinks? The Coppola film is reasonably close , but departs from the novel by adding the romantic subplot between Dracula and Mina. Also, Oldman's Dracula physically isn't as Stoker described. To this date, Christopher Lee seems to be the only actor actually made up to resemble the character as described in the book in Jess Franco's COUNT DRACULA. The 1977 Louis Jourdan version is also quite faithful to the book as well, except for Jourdan's 'look'. Anyone read the Marvel comics written by Marv Wolfman and illustrated by Gene Colan? They were terrific. From the 70s. Nothing wrong with that. The Satanic Rites Of Dracula is one of my favourite Dracula films. I don't have a single favourite Dracula or film, but a 3 way tie between Dracula (1931), Dan Curtis' Dracula (1973) and Nosferatu The Vampyre (1979). Lugosi:Dracula was mysterious, Palance:Dracula was feral and Kinski:Dracula was tragic. I liked the Kinski version, but would put the Coppola film above it. I just recently bought the Hammer Films 21 Disc Boxset. I'll have to check to see if there are any Dracula films in it as I've not seen any of those as yet. I didn't care for Coppola's film. Very stylish to look at, but not much else going for it. Christopher Lee is the obvious Bond connection. Great Dracula, and a great Scaramanga. Jack Palance is the other. 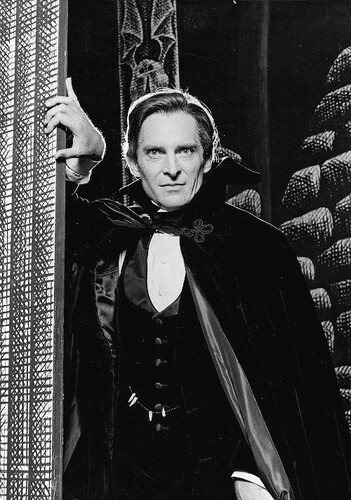 An even greater Dracula, and initially wanted for the Scaramanga role. He would have been fantastic, and probably more in keeping with Fleming s character. Any other connections people can think of? There is Anthony Hopkins, of course. Van Helsing in the Oldman film, and wanted as Trevelyan, before they recasted.